This blogpost contains affiliate links, if you choose to utilize those we will be compensated. See our full disclosure policy at here. Think frugal luxury when considering requests for your new bed and bath. You’ll feel fabulously spoiled, and your guests will appreciate that you didn’t break their bank. Luxuriously soft, super absorbent, and beautiful, these Egyptian Cotton bath towels are an excellent addition to your new en suite. Get them on your registry here for just $39.97 (set of 4). Want to give your guests the option of not having to pick up in store or pay for shipping? 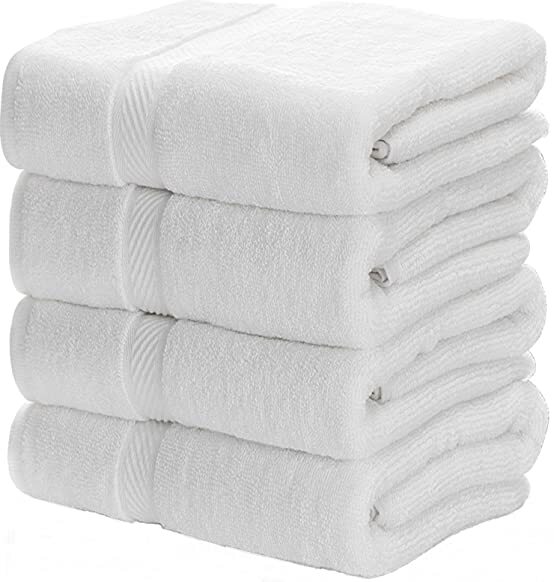 Add this set of Egyptian Cotton Towels (set of 4) to your Amazon Registry for just $38.99. Be sure to register for the the Egyptian Cotton washcloths and hand towels as well. For your bed? 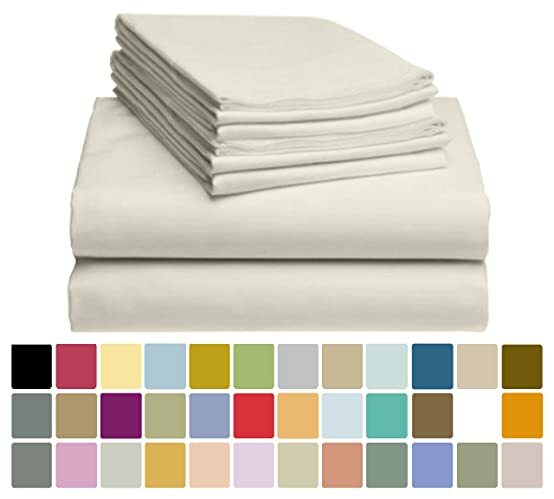 These high quality Bamboo sheets will bring amazing luxury you can see and feel. We have these on our own bed, and we love them! This is a 6pc set from Amazon that includes 1 Flat Sheet, 1 Fitted Sheet with Deep 18-inch Pocket to fit Regular and Extra Thick Mattresses & 4 Pillow Cases. This amazing set of sheets in King size is only $37.99, and at the date of this post 2/1/18 also has an additional $5 off clippable coupon. For your kitchen, if you’re a southern girl like us, you won’t be able to live without these cookware staples. Ladies, this cast iron baking sheet from Lodge will carry you through your entire marriage (and life…and you’ll even leave it to your kids). It’s a pizza pan, but honey it’s so much more! It will put that golden bottom on your biscuits, the crunch to your pizza crust, and the crisp to your broiled steak. 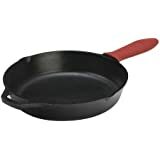 This pan is one your kitchen cannot do without, be sure it makes it onto your Amazon Registry. *Southern Girl Secret- If you want sky high biscuits, place them as close together as you can get them. They’ll still pull apart girl, I promise! While you’re baking your biscuits on your cast iron baking sheet, you’ll need to be busy frying up the bacon and eggs girl! and don’t forget the good southern style white gravy. 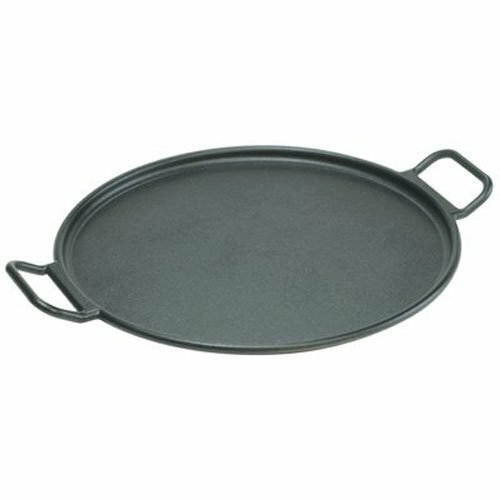 This cast iron frying pan by Lodge will carry you through all of it, and believe us when we tell you that a cast iron skillet will impart a flavor to your gravy that cannot be duplicated in a regular nonstick one. When you’re registering for items for your new home, this is an absolute must have. Cast iron is an heirloom, you’ll pass this one down to your daughters and they’ll pass it to theirs. We southern girls all covet Mama’s skillet, and we know that one day it’ll be ours to have and to cherish her memory as we prepare all her recipes with. Girl we know that you’re loving all the cast iron cookware, honestly that’s the only thing we use in our kitchen, but sometimes you just want a good nonstick skillet that doesn’t require the reseasoning (which only takes a minute, but hey we don’t always have a minute to give it right?). That’s why you need to add this highly rated 3pc set of copper skillets to your registry on Amazon now, you won’t regret it. We know better today than buying the kind that comes coated with that yucky black flaky offy kind of non stick coating, and what better than cast iron to use than a great quality set of copper skillets? 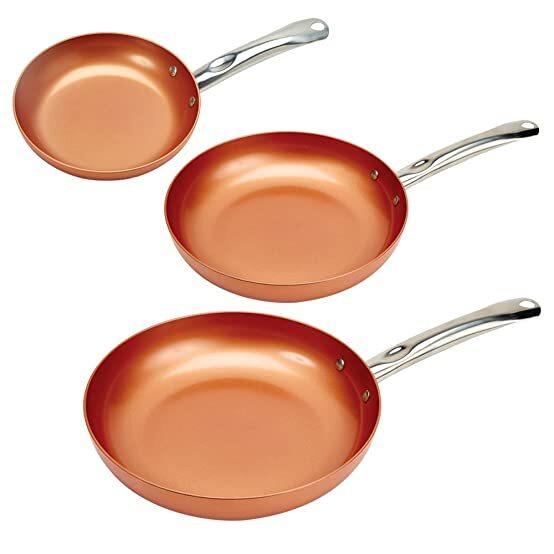 Here are copper and cast iron options from Walmart to add to your registry! One final item you simply cannot live without (and mama would agree) is a crockpot. For the working girl this is a lifesaving piece of kitchenware that allows her to have that hot meal ready for her handsome hubby without having to rush home in a mad frenzy looking like a hot mess in the kitchen as she scrambles to get supper on the table. For the busy mom, it lets her quietly prepare that evening meal in the morning before her kids are even awake making messes all over the place. Honey, a good crockpot will carry you through your entire marriage, just ask mama and mamaw. Add this 7 qt Crockpot to your Amazon Registry Today. We know with all that cooking, you’re going to need some good tools for the prepwork. Here are three tools the aspiring home chef cannot do without! If you’re southern, then you know there is nothing like a good set of Rada Knives. We call them “church knives” down here because these are a popular fundraiser (right along side the good ol church cookbook) for congregations across the south. Honey there’s a reason no good southern woman is without at least a few of these heirloom quality (yes honey we pass down our good church knives too) ultra sharp knives. 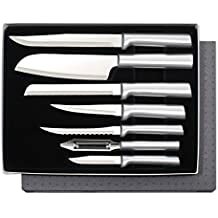 This starter set (shown) should be one of the first things you add to your registry on Amazon! Don’t forget to add the rada sharpener too! These are fine for a bridal shower, but always be sure to pay a penny to the giver so you keep your good luck. It’s probably becoming obvious to you by now that we are all about high quality items at a great price. We don’t bring things to our home (or yours) unless we feel they’ll last a good long time (and maybe get passed down to your kids too). 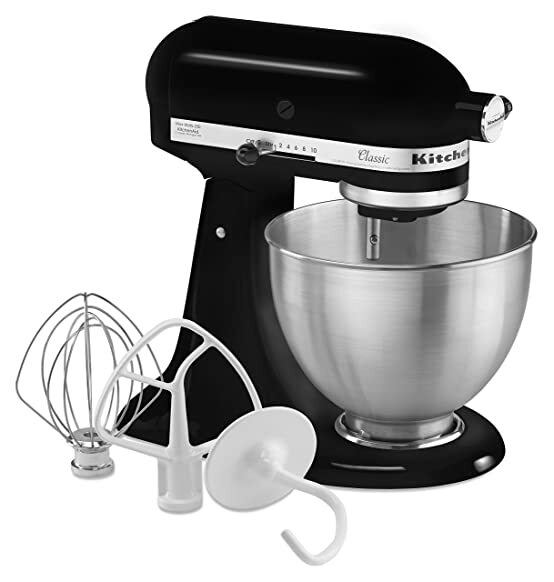 That’s why the KitchenAid standmixer is a must have on our list of registry items for you. The one shown can be added to your Amazon Registry, and is just $179 (that’s a real steal!). Register for all the accessories and attachments you’ll want to go with it too! 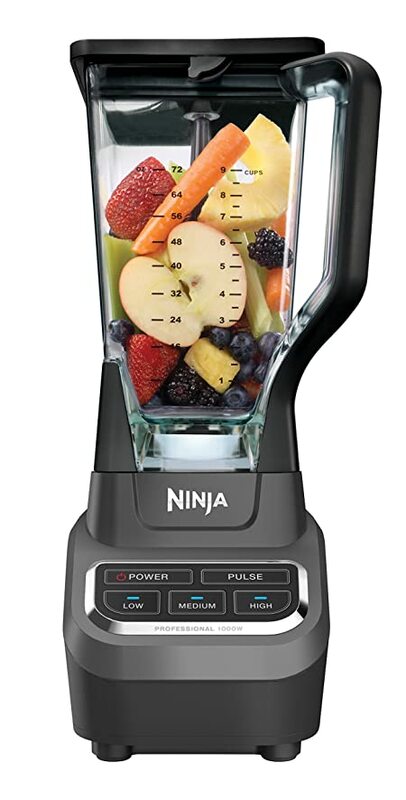 We use our Ninja Professional Blender, every.single.day. Sometimes, mutiple times per day. The entire FF team are of course followers of the McDougall Plan (read about that here), so we are constantly utilizing this incredible tool to blend smooth soups, make our smoothies, and tons of other great recipes. It will blend a milkshake for dessert in no time. The powerful motor and ultra sharp blades crush ice and frozen fruit and veggies in seconds. This is one tool we cannot do without. You definitely want this on your Amazon Registry. Prices and promotions can change or expire at any time without notice. Always verify pricing before purchase. The information contained on this site is for general information purposes only. While we make every attempt to keep the information on this site correct, we make no representations or guarantees of any kind about the accuracy, pricing or availability of any deal, context, graphics or outside links on this site.